which churn each fertile acre. There are two language misuses that bother me a great deal. One is excessive hyperbole; the other is un-nuanced comparison in analogy, simile or metaphor. This poem is a response to equating a group of unfocussed people with ‘dumb, blind’ (and by suggestion useless) earthworms. From my father I learnt that even the smallest, seemingly insignificant creatures have their place in the world. Earthworms in particular are supremely important and spectacular beings. 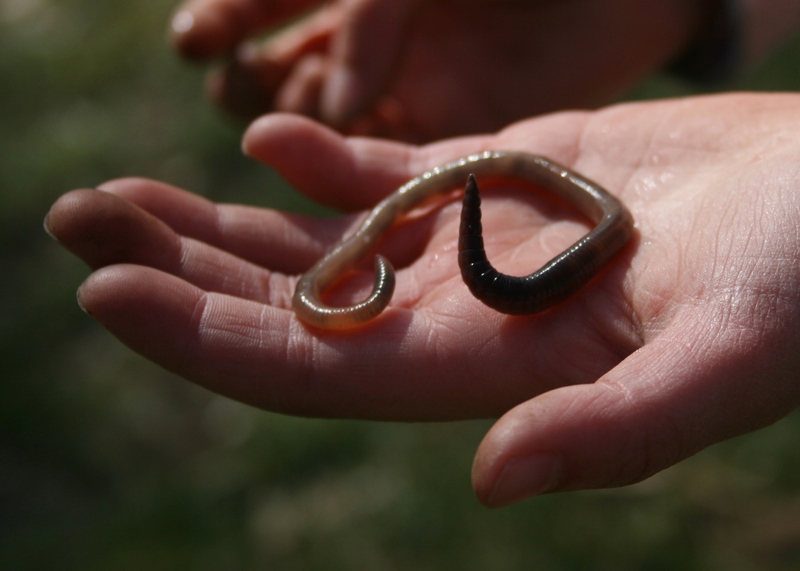 While researching for this poem, I discovered that there are thousands of different earthworm species. The worms are of different colours and lengths. Some live in leaf litter rather than the soil, and in rare cases they even live in tree branches. It is supremely anthropocentric to forget the workings that occur beneath our feet. Beneath a metre-squared of garden lawn, 20 to 40 earthworms will be at work. Even more humbling is that for every acre of fertile farmland, there are 1,750,000 earthworms working their way through the soil. My Dad was fond of reminding me, “Ants know as much as they need to know to be ants.” Similarly, earthworms know and do as much as is required to be earthworms. They aerate the soil. They leave their casts to nourish the soil. Their bodies feed birds and other creatures. In amazing hermaphroditic wonder, they make more earthworms. What perfection! imagine how efficient we’d be. By all means, one may label a group of people distracted and confused, but to liken them to earthworms is a misplaced simile that this poet cannot accept. The final, pruned poem may be read here. It is also one of the twenty-five poems selected for my second book, Emily’s Poems for Modern Boys (2013). the tattoo, never seen in full. the muse’s t-shirt smells of clean laundry. is light on his feet. and worry about accurate footwork. is patient with the serious poet. This poem marks the final work of my 104 project. I set about to write two poems a week for 52 weeks, to total 104 poems across a year. The aim of this endeavour was simply to produce on a regular basis. Irrespective of quality, subject matter, tone, style or artistic investment, the resulting works would be allocated to the 104 project and posted on this blog. The creative burnout I experienced at the end of February, after a solid month of posting work, was unexpected. Production seemed to be on such a high. Another learning curve has been the resistance to completion. I have wrestled with this over the last couple of weeks. In truth, during this time I have written more than the two poems required to complete the count. I have judged some of the work too personal or inadequate to post, thereby ignoring the very rules established at the beginning. Each of these recent poems fell short. It was not my intention to have the project end on an unceremonious note. None of them deserved to be The Last Poem. All in all, these 104 poems (plus the 25 that were siphoned off for Emily’s Poems for Modern Boys) were not the sorts of poems I had intended should fill a book. It was my intention to explore grand themes of ars poetica, politics, justice and humanity. It felt time to explore the wide, broad, deep, conflicted, enduring state of the world. Instead, my writing inevitably turns to examine the minutiae. Much of this last year’s work presents daily concerns of an ordinary suburban life. There are the quandaries of emotion and soul, work and provision, grocery shopping and living in rented accommodation. 130+ poems later, I am tired. It would also seem I cannot count, for not only did I recalibrated the mark as 102 on Monday, I have also counted 107 poems posted since last year. I have swum in a sea of poems and I am weary. Truly, it has started to feel as though the muse has left me. Those of you who follow me on Twitter will already know about my current interest in Bachata, a dance style from the Dominican Republic. I have now had all of eight lessons and this last Saturday attended my first open dance party. In this inspiration dearth, I think the muse has met me on the dance floor. The poems of the 104 project will be compiled into a book. This will be my third since February last year. Subscribe (see tab below right), or follow on Twitter or Facebook for updates. 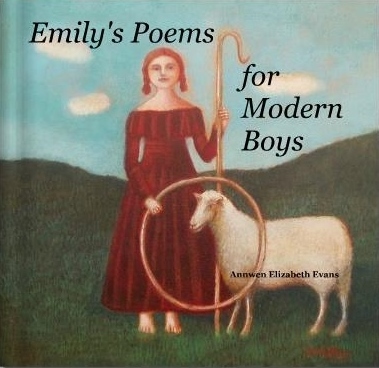 My other titles, available for preview and purchase via Blurb.co.uk, are Emily’s Poems for Modern Boys and Shining in Brightness. Don’t waste the joy of new places on absent sources of heartache. Don’t Waste Paris on a Broken Heart. the poet moved into this little rented room. At the beginning of April, the spring bloom, preluded by daffodils, was joined by red tulips, forget-me-nots and bouffant trees in blossom. With the sunnier days, the return of nature’s colour and the chatty birds, I started to feel restless. It was time to shed the cabin-time of winter. Some have been turning soil in their gardens. I have turned to cleaning out my rented room and allocated kitchen cupboards. The food I was eating annoyed me. I was sick of my neighbourhood. Trying to write the last poems for the 102 project was an irritation. Above all, I developed an intense dislike of the curtains in my rented room. I have yet to solve the curtain situation. A few charity shop visits and the occasional Freecycle search have not yet yielded any finds. 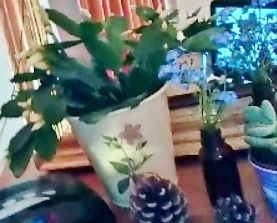 In the interim, there’s a flowering Easter cactus on the chest of drawers next to my bed. And I have done away with the dust-covered, wicker light-shade that cast a strange cross-hatch shadow over the walls at night. My new shade looks like a large, light-emitting pink macaroon. Delicious! Last year I had one of those “I’ve made it!” writer’s moments. I was offered a paid writing gig on one of my favourite topics: art. I had the privilege of exploring the work of contemporary Swedish artist, Per-Inge Isheden, whose “puckish paintings” loosened my essay muscles. Read the full written article here, or sit back and listen to it read (by yours truly) on Youtube. P.S. If you’re ever in need of an essay by a poet/ art history-visual culture graduate/ memoirist, send me a message. Ordinarily, I offer copyediting services to business clients, university students and young academics. My email contact is beadedquill@gmail.com. While my favourite blend of coffee is still £2,30 at my local Sainsbury’s, fortunately soya milk is back at 59p. My palate has had enough of sultanas, so now I bypass that shelf. More recently I’ve been into dates with my morning oats. Waitrose does a 250g bag for 99p and my local Cypriot greengrocer offers two trays for £1. the drag race took off. Two poems to go until I hit my 104 total! The aim was to write two poems a week across the 52 weeks of one year.